Remember your media dollars not only advance your brand – but the cause of science itself. A blend of advertisement and editorial, your brand message comes to life in an authoritative style. This might be a single page or multi-page piece that will be published within the journal Science. Advertorials are quite versatile in implementation. Include a re-purposed mini booklet for distribution at conferences or add a digital component to extend your reach and encourage deep exploration. At Science, we offer you more than one option to consider – provide your own content or we can consult with you on the topic and help you develop original content. Let’s explore together to find the right approach to showcase your brand in this unique manner. 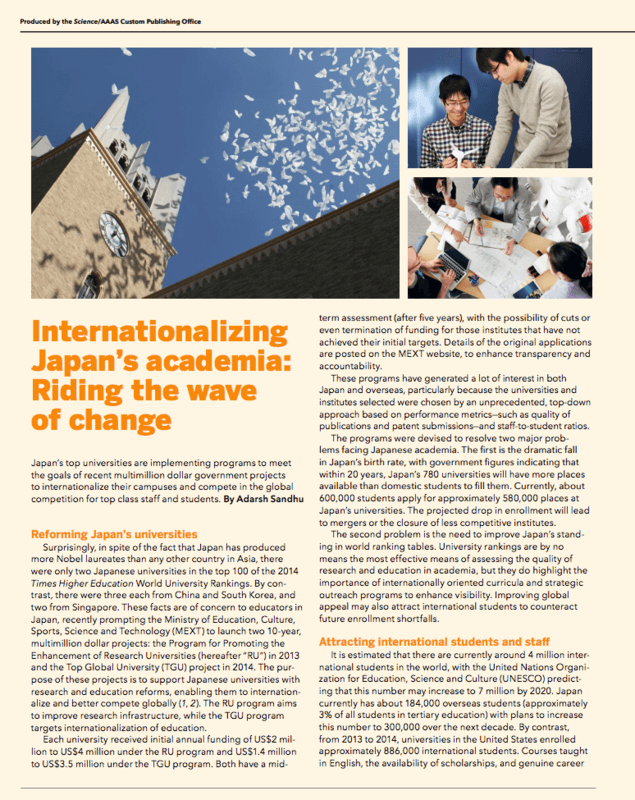 To see the various Advertorials we have published, please click the image to the right. Note: Advertorials must be clearly labeled. Guidelines will be provided upon request. Whether it’s original content or a collection of articles previously published in Science or Science Careers, sponsorship of a booklet positions your company alongside cutting-edge research or a career development topic, while delivering your message to a highly targeted audience. This blend of brand extension and direct marketing makes the perfect vehicle to recruit both active and passive job seekers. To see the various collection booklets we have published, please click the image to the right. 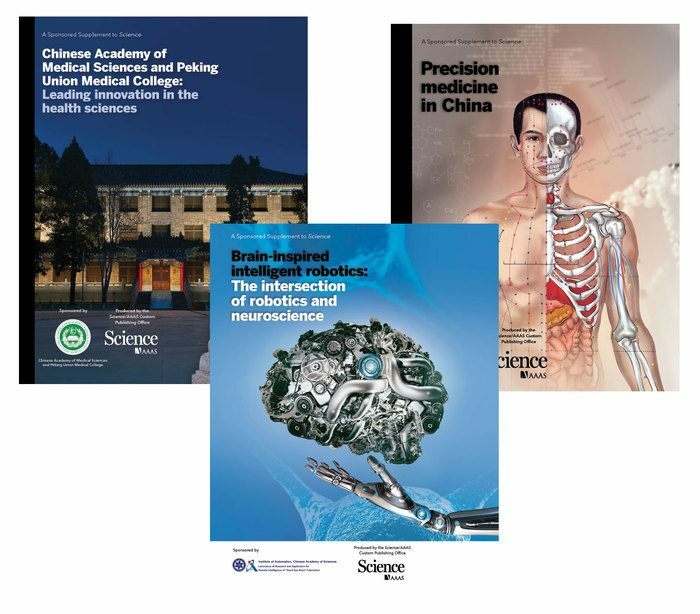 Working closely with Science‘s Commercial Editor, you’ll customize your booklets content by focusing on a career development topic, selecting Science articles that complement the area of research at your organization or creating original content. The Science team consults you every step of the way to ensure your booklet is optimized for maximum impact. 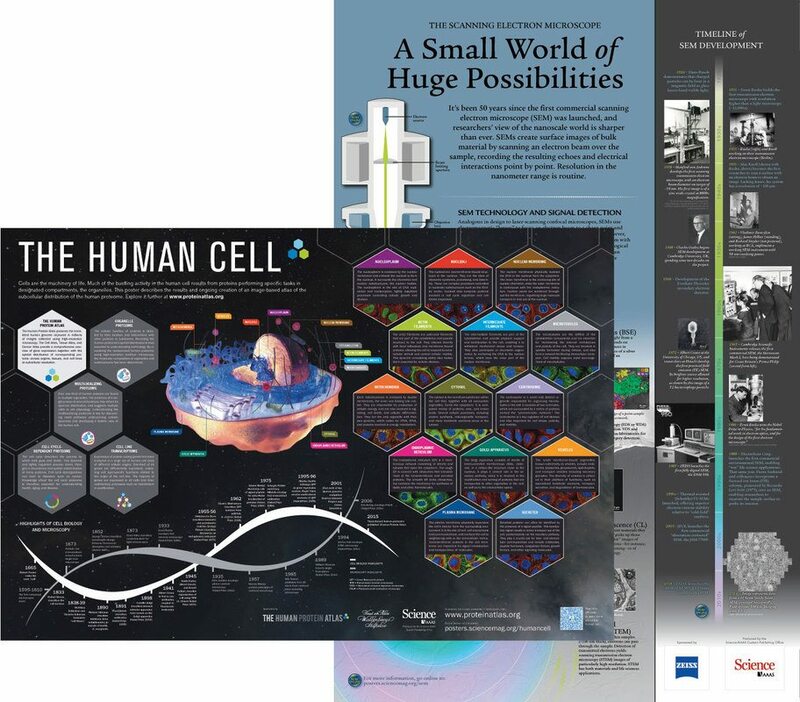 Boost your brand and get daily exposure to thousands of current and potential customers with a customized Science poster. To see the posters we have published, please click the image to the right. 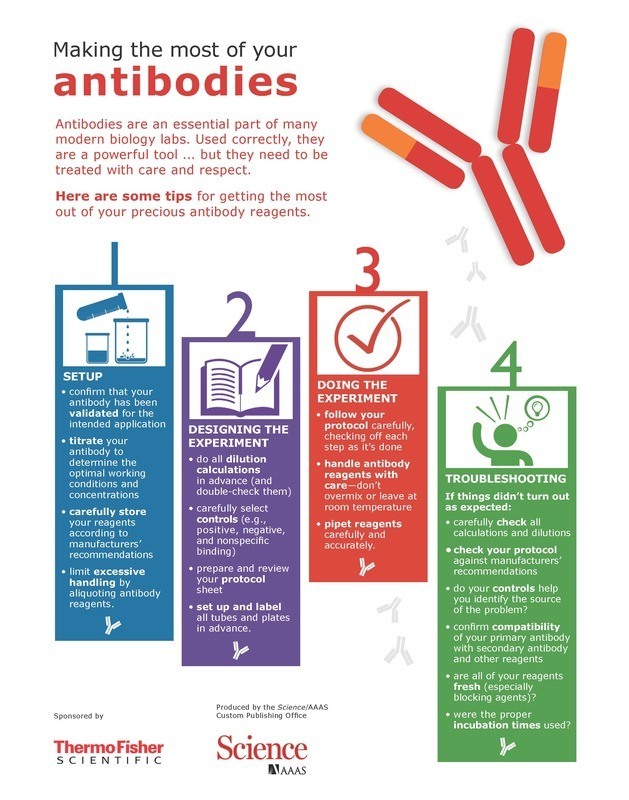 Creating an infographic to highlight research, your institution, or your company is a dynamically artistic way to communicate with our scientific audience. To see the infographics we have published, please click the image to the right. Science Virtual Environments (SciVE) is a unique way to bring our audience into close contact with your department, institution, laboratory or company. 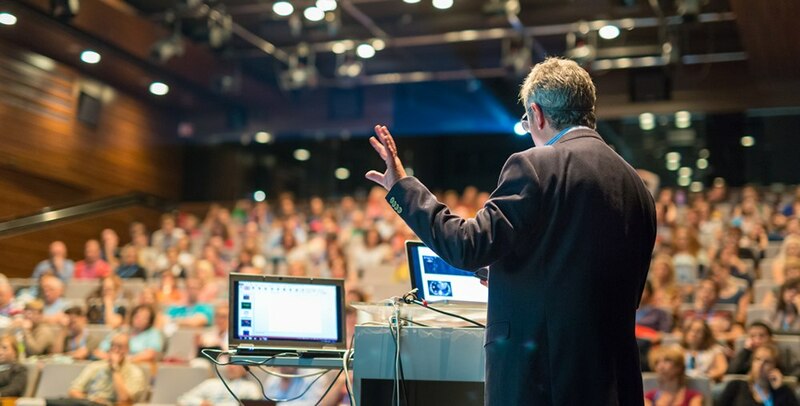 Sponsored events & meetings are a way to partner with Science and combine branding efforts to increase the success of your event. Hosting a forum on neuroscience? Maybe it’s a meeting for immunologists. Let us put the marketing in place to showcase it to the scientific community. 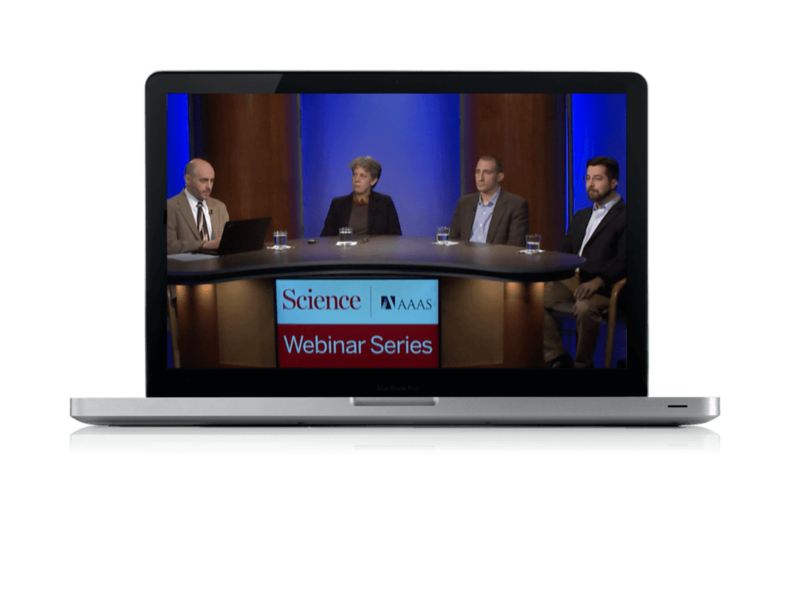 Engage with potential employees and showcase your organization’s research by sponsoring a customized webinar. Science assembles a panel of experts in a topic area of your choice and as the sponsor, your company can participate in the panel, and brand itself as an innovative leader in that field. Align your organization with Science’s prestigious panel of experts. Reach a global audience of scientists. Create employee relationships and dialogue by following up on unanswered audience questions. Be seen as a valuable contributor to the scientific community. Receive six-month exclusivity on your topic. Have your message available on-demand for a full 12 months. Bonus: You’ll have 24/7 access to the complete registration database that is updated every time someone registers and views so you can start lead nurturing immediately! Post-event marketing – Push the on-demand version of your webinar via online banners or third-party e-mails.